Kareena Kapoor’s last release was Golmaal 3 in November 2010 and since then she hasn’t had a single release in 2011 so far. But her upcoming films this year and the next, looks pretty impressive. Infact, all her movies in 2011 and 2012 will be opposite a Khan! And what’s more she works with almost all the popular Khan’s in the Hindi Film Industry – Salman, Shahrukh, Aamir, Saif and even Imran Khan!Bodyguard – Kareena’s first release of 2011 will be opposite Salman Khan, who is currently on a dream run at the box-office. The bodyguard trailer is already making waves all over the country and the film should re-affirm Kareena’s status as the numero uno female star in the industry today.Playing Shahrukh Khan’s love interest, Kareena stars in arguably 2011′s most anticipated film. The superhero film directed by Anubhav Sinha also features Kareena in a hot sizzling item number, the track (Wanna be my Chammak Challo. After sharing screen space with two of the biggest Khan’s in the industry, Kareena returns to the Khan she loves the most – Saif. The movie written and directed by Sriram Raghavan is an action-thriller with music by Pritam. 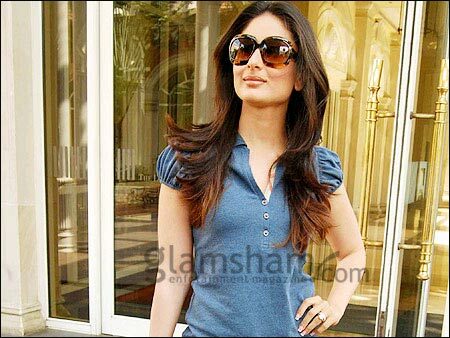 Agent Vinod will be the last release for Kareena in 2011. Mujhko Neend Aa Rahi Hai - Ajnabee - Akshay Kumar & Kareena Kapoor . tipsmusic.